The annual Torchlight procession took place on Bank Holiday Monday. This custom used to take place at the end of Gala Week, but sort of faded when Gala Week came to an end. It was restarted almost single handily by a lady called Ann Minors. Its really down to her that it’s what it is today. She has a few other stalwart helpers, but the real leg work is done by her. The procession lasts for a good 30-40minutes walking around various streets of Porthleven and finishes off, by walking around the Bickford Institute and along the Harbour. On completion of the walk a small, but very good firework display ends the whole event. All the money that is raised is given to charity. As you can see from the picture this event is well support by the people of Porthleven and visitors. Again, this event takes place down to one lady. Next time you see Ann Minors, it would be nice to say thank you, and well done. Every year she says this is her last one, but she still keeps going. Well done and thank you Ann. I have blogged about the work (previous Blog) I am doing with the Bulwark Residence Group on trying to raise money to rebuild their neglected park (reality its not there anymore). We need about £80k-£100k to do this area justice. That is not a small amount, but I feel its achievable, even in these tough times. This Group knows is not just going to be handed the money on the plate. It’s got to do some of the work to raise this money themselves. So today was the first fund raiser. It was organised by the Group to walk around the Penrose Estate and Loe Bar Beach, where on reaching this beach, we would have a small picnic. The plan was to meet at the fairground car-park around 9:30 am and set off around 10 am. I was not sure how many would turn up because its still the school holidays, and its also a bank holiday. It was great to see around 24 adults and children turn up. The children were aged between 2 and 14 years. It’s a great walk to do, and those who turned up really enjoyed it. We were even met on our return by one of the organisers mother, who had baked cakes for us to eat on our return. It’s great to see this community spirit working so well in trying to achieve something that will be so beneficial to many. Even better, it looks like over £100 was raised in sponsorship for just this one event. Next Saturday, the Group are entering a float for the Helston Harvest Fair. I have been ‘volunteered’ to be Neptune as they are doing an under the sea theme. To be honest, I can’t wait. I have decided to enter the fray (maybe foolishly) over English – Cornish – Duchy – County. I might as well be up front and say I am not a native of Cornwall. In fact, I was not even born on these shores. I have watched, read and witnessed many debates, blogs and twitter feeds on Cornwall, the people and how it fits in with the rest of the UK. I am not going to claim I am any historical buff on Cornwall, but I will say what I have to say from my view point. There is no getting away from it, but Cornwall is something special. I am proud to live here. So much so I can say I love Cornwall like someone born of this land. I have been here since my late teens, so I can honestly say I have grown up in Cornwall. I do however struggle with some of the claims, points and views that certain people have. I am not saying they are wrong, as everyone has the right to an opinion. Like I have. The first one is what makes you Cornish? Are you automatically Cornish if you are born here? Even if you are only born here by sheer coincidence? What happens if both or one of your parents are not Cornish? Are you less Cornish if you are not from pure Cornish stock? If so, how far back do you have to go to claim to be Cornish. Grandparents, Great Grandparents? It’s an interesting point, and one I have asked many times. Only to get different answers. Maybe if you just live in and love Cornwall that is enough? As for Duchy – County this is a complex issue. It’s a shame that we cannot go back in time and ask what the King really meant when he granted the land and titles. Did he do it to keep his son busy with the administration of Cornwall. Did he do it so his son was so busy that he could not usurp his own position. It was not uncommon in those times for many claimants to the throne, or for there to be many attempts to take it from the current holder, and more importantly, the treasury that came with that position. Many claim that Cornwall is a Duchy and therefore not part of the mainland (England or even the UK), thus not making it a County. But what would happen if the Sovereign stripped those lands off the current holder? Without a Duke, it can’t be a Duchy. Then what happens? It may sound simplistic, but to the more republican viewpoint they may argue why do we need these ancient offices of Monarchy, Dukes, Earls etc. So without these titles and positions, you can’t have the title of Duchy. You can’t have it both ways, or pick what parts you like/don’t like. An interesting point is if there are no sons of the Monarch, the Duchy remains in the power of the Monarch. Maybe if the Sovereign gave some sort of ruling on this we might all understand. As for the Government, it administers Cornwall the same as any other County. They after all are the law makers of this land(s). If Cornwall is independent, then is the Duchy of Lancaster too? At least that generally has a Government Minister who is the Chancellor for that Duchy. Salaries and the levels have rarely been out of the news since the MP “allowances” scandal broke. Local Government is now (and rightly so) in the firing line. I still like to use the old saying “A fair days pay, for a fair days work”. I think that is true now as when the phrase was first coined. The Leader of the Council Alec Robertson said in a recent press interview that he was undertaking a root and branch review of senior officers pay. I welcome this, as I have always struggled with the concept of high pay and the level of pay off’s when people move between Authorities. I am not saying they should not be paid to reflect their roles and workload. You could argue that they would be paid more if they were in the private sector, but this is not the private sector. The private sector has share holders who will show you the door pretty quickly if you fail to live up to the job. I am though struggling on how this review will take place. Sure if someone said I am going to take a pay reduction to reflect the difficult times we are in, then I doff my cap to them for taking the lead. But what happens if someone refuses to take this lead, or are not interested in taking a pay cut. Can they be forced? My understanding of this is that they cannot be simply handed a pay cut. It’s easy for people to criticize, but how many people would take a pay cut, or turn down a pay rise if their bosses asked? The Leader this morning has clarified the position by saying “ While the Council is, indeed, looking at the pay and conditions of staff as part of its savings strategy, it is certainly not the case that pay cuts are being imposed on senior staff. That is good news indeed. Many staff a very worried for their jobs. The figure of 2000 people to lose their jobs is huge, and staff are rightly concerned. An officer said to me when we were talking about a problem replied ” I am not sticking my head above the pulpit, as I don’t want to be seen as a troublemaker”. In other words, they don’t want to rock the boat or they could be handed their P45. There are many ideas on how much people should be paid. Some say no more that 4/5 x the lowest paid worker. Sounds simple enough, but would it work? Before anything is indeed implemented they it needs to be fully investigated with staff, Unions and Councillors, and not simply, a knee-jerk reaction. Let’s look at the long term on this. No one is under any illusion to the tough times again and all sides will do everything they can to safeguard as many jobs as possible. I guess we will have to wait till the end of October when the Government releases the full details on its “spending review”. Anyway, from this August Bank holiday Cornwall Council will be sending electoral registration forms to the 250,000 households in Cornwall. It’s important that people fill in these forms and return them. In fact its required by law to provide this information. Most people fill these forms and return them quickly, but last year 78,000 reminder letters were sent out. Also, 8,700 visits took place to homes that had not completed them. That is an additional expense that the tax payer (you and me) has to meet. 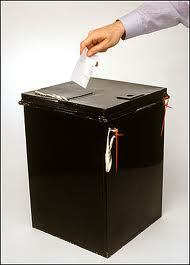 In May 2011 there will be a referendum on how we vote at a General Election. This could have huge implications as to how we elected our MPs in the future. So its doubly important that people take the time to fill in these forms. The Licensing Act 2003. A piece of legislation that was meant to simplify and bring licensing up to date. This piece of legislation can trace its history back to the 1751 Gin Act. Today, over at County Hall the Licensing Act Committee met to discuss the latest Government consultation on this Act. There are many problems with the current Act. The de-regulation of licensing hours is just one. When it was first introduced it was sold as allowing the UK to adopt a more European cafe culture to drinking. This has failed. 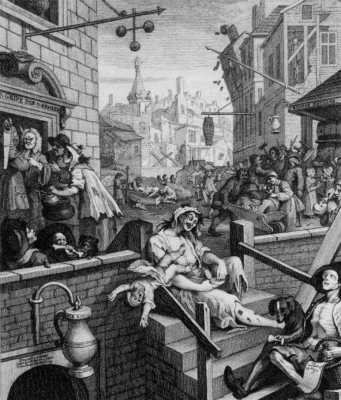 History will tell you that Britain has a long history with drinking. In reality the de-regulation of hours means premises have just stayed open later. That is not entirely bad in principle, but one of the main problems to this is what happens when people leave these premises in the early hours of the morning and the disturbance it causes to local residents. When it was 12-1 in the morning people could still get a fair amount of sleep, but its a little hard when you are kept awake until 4 am. Add the smoking ban, and you have a real problem to noise and disturbance. From my experience most landlords try to mitigate against this, but it still causes problems. There is also huge budget implications to the Emergency Services in dealing with alcohol related problems. What we discussed today was how we could improve the Act from the view of the Council. At present we have no real teeth prior to it going to a formal hearing. In fact the Licensing Authority does not even have the power to call for a review on a troublesome premises. It has to rely on the Police, Public, Environmental Health and Trading Standards. It would be easier if we had those powers. We also believed that City, Town and Parish Councils are made interested parties to any applications. Currently they are not. We also discussed many other issues like a different fees depending on how late you stay open. Currently its the same price if you shut at 11pm or 5am. Also discussed were fixed fines for infringements, the tightening up of who can object to a Temporary Event Notice (T.E.N.) and other issues that would make the Act more workable. This Consultation ends on the 8th of Sept, when the Government will collate and hopefully adopt these points (or at least some). Now that the exam results are out; there will be the initial rush for places at College. The shear nature of Cornwall means that most students will have to travel, and for some, a lot of miles. Very few have their own cars, and for many they don’t have access to one. That means they have to use public transport. This can be a costly addition to that person, and/or their families. 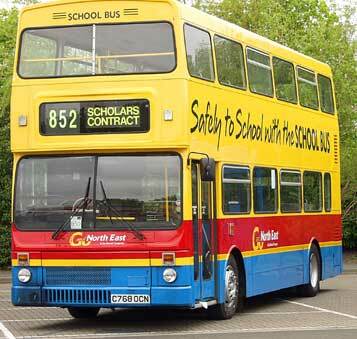 Cornwall Council has recognised this and has released details how people can apply for subsidised transport. Cornwall Council sets out the case below. 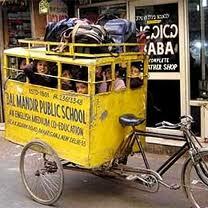 Local Authorities are under no obligation to provide transport for anyone beyond statutory school leaving age. Cornwall Council, like many other local authorities across England, operates a policy of subsidising travel to Further Education for students aged between 16-19 (21 for students with special educational needs) who attend the nearest establishment offering the course(s) the student wishes to study and live over 3 miles from the said establishment. However students taking an A/AS level course would not automatically qualify for subsidised travel to an establishment which is not the nearest if their designated/nearest school does not offer a particular subject. A week or so I blogged about large amounts of money that was outstanding from developers. One large amount was from Wainhomes (£330k) and to date this had not been settled. (Previous post) It turns out that the day or two after this information was made public and inquiries made by the press; a cheque has been sent to Cornwall Council for £200k. It’s an amazing coincidence that this being made public and a cheque sent so soon after. To review the current dates and length of school terms with regard to the relevance and impact on local families, and to consider proposals to change the number, length and dates of term times for this Authority. I believe the last time this was discussed was over 40 years ago (it maybe even longer). The world and family life has moved on greatly. Its about time this was at least looked into.